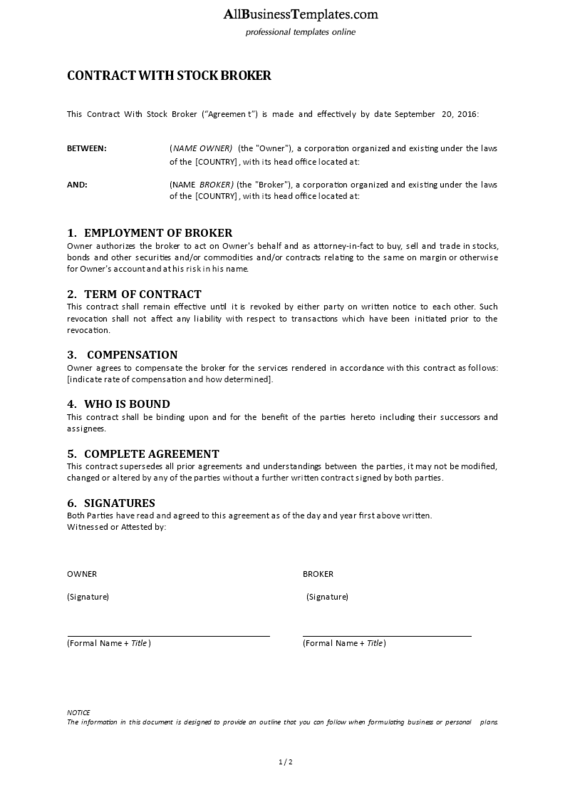 Download our Contract With Stock Broker template now! We provide a specific Stock Broker Contract template that can be signed between an Owner and a Broker. Our templates are all screened by professionals. Using our Contract With Stock Broker guarantees you will safe time, costs and efforts!